In 1864, a few small gold veins were found and people soon followed. Legend has it that the town’s name came from the initial prospectors who used bay horses in that area. In 1872, the Beardsley Mine and Ramshorn Mine opened and others soon followed. Bayhorse’s peak years, during the 1880’s and 1890’s had a population of about 300. The hillsides were dotted with cabins, numerous saloons, boarding houses, assay offices, banks, a stone Wells Fargo building, and a post office. 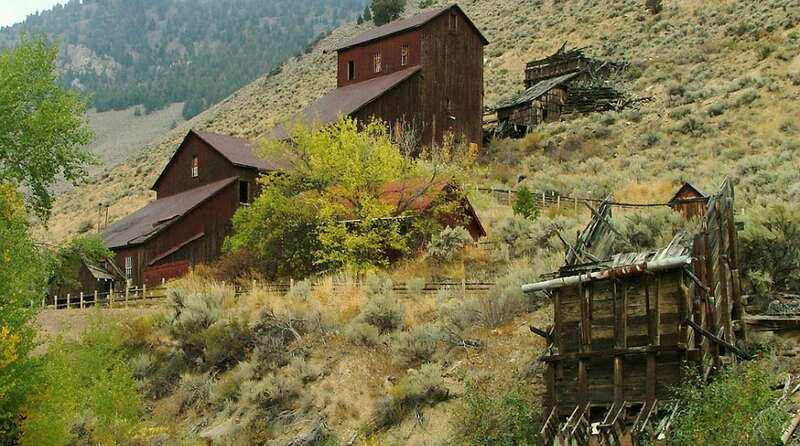 When the mines ceased operation the residents gradually left and by 1958 it was declared a ghost town.